If after conducting a professional asbestos risk assessment you want to remove asbestos from your premises, or ensure the asbestos in your premises poses no risk during and after any major building refurbishment, our expert team can help to guide you through the process. ASAP Comply provide practical solutions to reducing your asbestos risk which can include Repairs and Sealing, Encapsulation, Installation of Protection or Removal and Disposal. For all asbestos remediation works ASAP Comply can provide a suitable written plan complying with current legislation. We can also advise on any licenses needed for asbestos removal or asbestos remediation. We can assist in the removal of both licensed and non-licensed asbestos containing materials, working with a number of HSE licensed partners, to ensure that all works are completed to a high standard, as per current HSE legislation. ASAP Comply are able to provide a ‘suitable written plan’ for remediation works and provide a project management service for licensed works. This covers the whole process from competitive tendering through to completion and re-occupation. 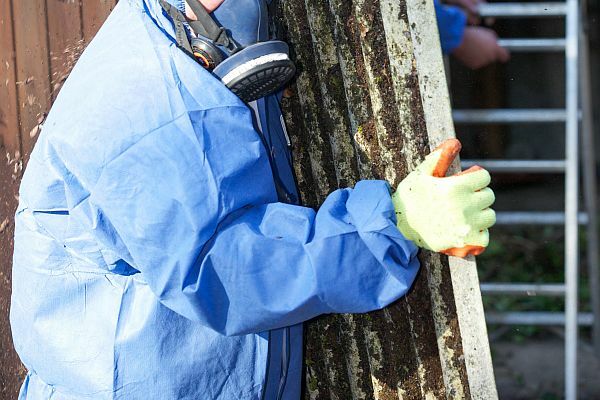 We work with a number of Licensed Asbestos Removal Companies (LARC) and as we do not provide this service directly our impartiality is guaranteed. Not all work with asbestos materials requires a licence. However, all work with sprayed asbestos coatings, asbestos insulation or asbestos lagging and most work with asbestos insulating board (AIB) requires a licence because of the hazardous nature of these higher risk materials. Our experts can help to guide you through the correct Asbestos Remediation Procedure. Notifiable works must be notified to the HSE in advance of any works taking place and must include a written plan in advance. This HSE notification is an ASBNNLW1. This could include large scale removal of asbestos containing textured coating. We offer a competitive non-licensed asbestos remediation service to our clients. This removal is considered lower risk and includes items such as large scale removal of asbestos containing textured coating or cleaning up low volumes of asbestos dust and debris in a short duration. Increasingly local authorities are limiting or closing their asbestos disposal locations, so it is very important that any contractor you use uses the correct packaging, hazard labels and has a waste carriers licence, this information can be checked on the Environment Agency website – our waste carriers license CBDU99679. It is also vital to ensure that even “non-licensed” asbestos containing materials are disposed of safely at a licensed disposal site. For more information view the HSE website.